Chosen by a 15-member committee from many exceptional texts, The French Voices Award honors translators and American publishers for their commitment to bringing the very best of contemporary French writing to an American audience. This year, we have the pleasure of rewarding 13 astonishing texts. 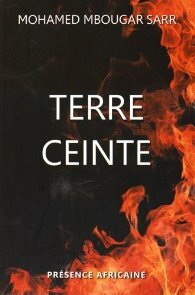 While four have secured an American publisher, eight of the selected titles are still available, including the French Voices Award Grand Prize Winner, and the French Voices Award they have been granted is not only a testament to their quality and that of their translation, but also a significant financial incentive for publishers. Titus Did Not Love Berenice is an uplifting story of how a modern-day woman finds solace from an unhappy love affair by reading the plays of France’s greatest neo-classical tragedian, Jean Racine. She goes on to discover how this bourgeois orphan from the provinces created a new literary language and rose to power in the court of Louis XIV, and how he was able to describe women’s love and desire so poignantly in his plays. From Rousseau to Proust, from Marguerite Duras to George Sand, from Colette to Modiano, gardens appear in novels as representations of the real world, but also as reflections of the imagination. Évelyne Bloch-Dano contemplates the role of the garden in the work of great prose writers, ruminating on how the garden can variously symbolize a reflection of the soul, a well-earned rest, an improving form of work, a nostalgia for childhood, and the dream of an ideal world. Historians Damien Boquet and Piroska Nagy delve into a rich variety of texts and images to reveal the many and nuanced experiences of emotion during the Middle Ages. From the demonstrative shame of a saint to a nobleman's fear of embarrassment, from friendship among monks to suffering in imitation of Christ, from the enthusiasm of a crusading band to the fear of a town threatened by the approach of war or plague, the examples are countless. Distinguished historian Patrick Boucheron uncovers the rich social and political dimensions of the iconic Frescoes of Good and Bad Government. He guides the reader through Lorenzetti's divided city, where peaceful prosperity and leisure sit alongside the ever present threats of violence, war and despotism. From 14th century Siena to the present, The Power of Images shows the latent dangers to democracy. Stéphane Bouquet’s Vie commune gives a lively, searching vision of contemporary life, politics, and sociality. Present in it are not only Bouquet’s signature poetics, both buoyant and deft, but also traces of his work in film, dance, and choreography, which manifest in his arrangement of characters, bodies, spaces, and times. Vie commune inhabits these different genres to pose versions of one question, asked with humor and sincerity: what does it mean to inhabit the world together? "In 2015, Paris' 11th arrondissement was the site of two separate terrorist attacks. I live halfway between the Place de la République and the Bataclan concert hall. My children’s school is a block away from the Charlie Hebdo offices." In these texts, sociologist Sarah Gensburger shares her reflections. Gilles is forty, facing a precarious future with unformed fears and regrets. The one thing that seems solid is Grampa, the ninety-year-old patriarch of a family Gilles has befriended. Gilles grows obsessed by the old man, and a strange sexual bond grows between the two. When the police get involved, and Gilles is witness to a murder, the banality of interhuman violence is brought to a paroxysmal climax. This novel recalls Georges Bataille’s dark surrealism and the unvarnished violence of Bret Easton Ellis. 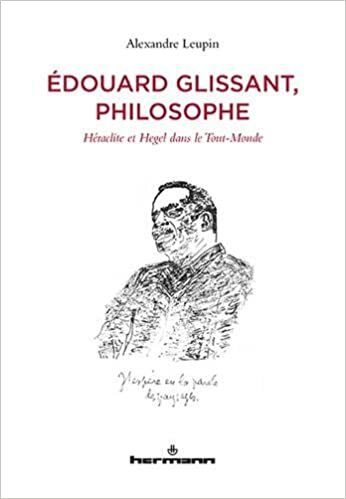 Glissant must be read not only as a great writer, but as a thinker who has radically renewed the basic questions of philosophy at the beginning of the twenty-first century, and returned it to its original form, practiced by Heraclitus and Parmenides, and banished by Plato: poetry. At a time when the plight of refugees has come to dominate the world news cycle, and with xenophobia informing governmental policies and public life in many countries, this tale of a little girl’s experience of exile gives a voice to the most vulnerable of victims, whose stories are rarely heard. Although it is set in Iran and France, this story of cross-cultural adaptation has universal appeal with its poignant description of the migrant experience. In Kalep, as an Islamist government spreads its brutal authority, two young people are executed for having loved each other. Resistance fighters try to rise up against this new world order by publishing an underground newspaper. The ensuing conflict between an Islamist police leader and his opponents will lead them all to merciless violence…But life always demands its rightful place. 1940-1944, “plum season”: Cameroun sides with the French Resistance. Future leader Ruben Um Nyobé and poet Louis-Marie Pouka are friends and meet in the village bar to discuss poetry. But the arrival of Leclerc, De Gaulle’s general, turns the art circle into army recruitment barracks. Numerous young Cameroonians follow Leclerc’s troops to what has been presented as a great victory, but is in fact revealed to be a tragedy of its own kind. One summer in Paris, a young doctoral student of anthropology is hired by Samuel Beckett to help him sort through his archives. This improbable meeting inspires him to keep a journal of the experience. The outlandish, mercurial Beckett he discovers is far from the austere character he imagined. Presented as a series of journal entries, this quirky novel is a reflection upon the image of the writer and his literary heritage. Tania, 14 and a half, lives alone with her mother in a village in Puyde-Dôme. A quiet life, too quiet, after her parents’ divorce and her brother’s departure for military school. But the announcement of her mother’s breast cancer will brutally throw them into a world that is far more unstable and frightening. Anne Percin masterfully navigates this difficult subject matter, using sensitivity and humor to depict a mother and daughter turned fighters.